After spending months on market research and building a market strategy you have finally launched a campaign you feel is perfect for your brand and audience. Now comes the challenges of actually monitoring and measuring its performance. Is it really going as well as you had hoped. Are people paying attention to it? Responding to it? You have meticulously set realistic goals after pin pointing your audience and come up with creative campaigns to make a connection with your audience but do you have an accurate metric to monitor the performance of the campaign. Your customers are interacting with you through different channels and to measure the performance of each channel could prove to be harder than it looks. 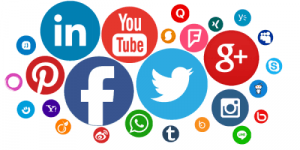 Different platforms – Availability of numerous platforms like various social media platforms including paid media, review sites, blogs, news articles etc. have made measuring their campaign performance a big challenge. Even companies who are spending extensively on SEO and digital marketing, have no clear metric on how good their performance is online. Even though the social media platforms provide analytics on how well the campaign is doing online, they don’t answer the questions like why and how. The insights which could prove to be most beneficial to a certain business might be irrelevant to others and it is important for the business that these insights do not get lost in the clutter of content acquired by the social media analytics tools. 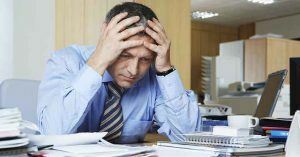 Miscommunication within Team – Most organizations have different teams and managers working on different marketing activities like Direct mail, SEO, SMM, mobile and website and media like print, TV, Radio or paid media. 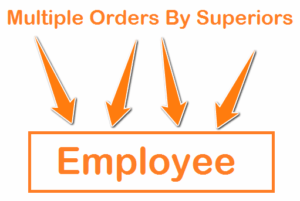 With multiple tasks, there are multiple chains of employees or managers involved. This complex structure often compels individuals to work in silos and focus on individual goals rather than look at the big picture and work together towards one common goal. This leads to an ambiguous outflow of information from the brand and creates a big challenge in monitoring the performance of a marketing campaign. Reports – Reports generated for different functional groups, outlining the performance of the marketing activities, could be verbose and may contain more data than required which makes deriving insights from such reports harder. The data required to build marketing strategies for a CMO is different from the data required by the SEO team. The data in the reports should contain a holistic view required by a CMO and also at a very minute level through which each team can derive insights relevant to them. This way the vision of each team stays aligned with the vision of the leadership team. Division of work and unity of command – According to the modern management theoretician Henri Fayol’s principles of management, it is necessary to divide work into teams and employees keeping in mind their expertise so that only the qualified people will be responsible for the work done. This will get the accuracy, speed and enhance the productivity of work. Unity of command provides the vision while the team carries the load. It solves the challenge of miscommunication within the team. Campaign Goals – Decide beforehand what is it that you want to achieve through this campaign. Follow the rule of measuring marketing performance – Your goal should be SMART(Specific, Measurable, Attainable, Realistic, and Timely). What exactly do you want to achieve? The more specific your description, the bigger the chance you’ll get exactly that. Invest in some data analytics tools – The primary problem faced by majority of the companies is the inadequate analytical know-how to make sense of the data collected. Without proper analytical capabilities, it is very hard to understand the marketing performance. For companies employing people with analytical know-how, Google Analytics and social media analytics tools would work most of the time but people looking for more than quantitative analysis, there are various tools which provide extensive analysis of the brand’s marketing activities.